Discussion in 'iPhone and iPad Games' started by touchy85, Jun 22, 2016. Exercise your brain and test your coordination to guide the tiny balls to their goal. 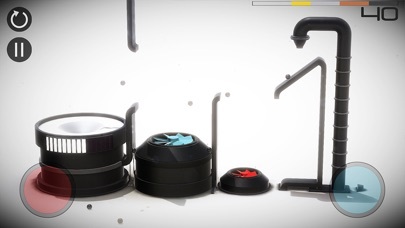 Activate flippers, magnets, portals, fans, anti-gravity hoops and many more gizmos to complete each mind bending stage. Don't take too long though.... You're on the clock! - 60 Stunningly rendered 3D courses to test your skills. 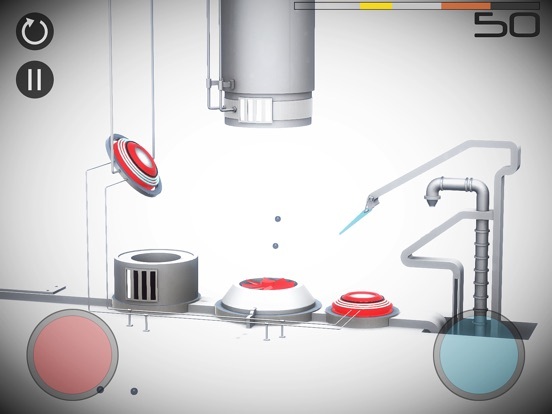 - Simple controls with deep mechanics so anyone can pick up and play. 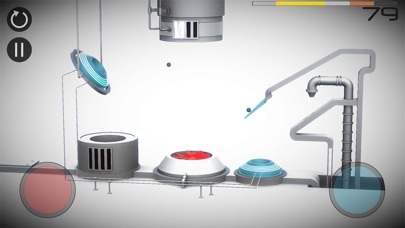 - From flippers to teleporters, there are loads of unique gizmos to guide the balls through levels. 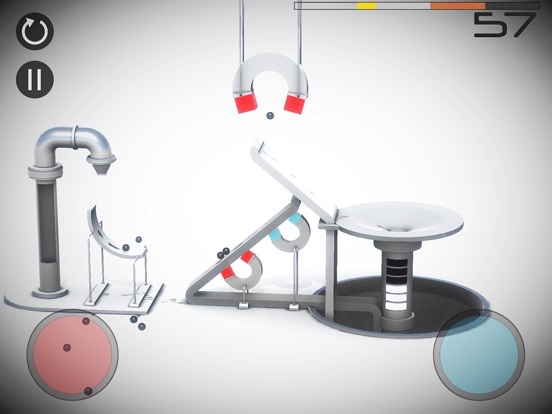 - Tax your brain and solve puzzles by switching the colours of mechanisms. - Hit your goals quickly to collect all the gold medals. - Use all your skill and wits to earn achievements. - Unlock the special Gold Runs for the hardest challenges! Welcome to Perchang, the featured arcade puzzler! A test of skill and puzzle solving across 60 beautiful levels. 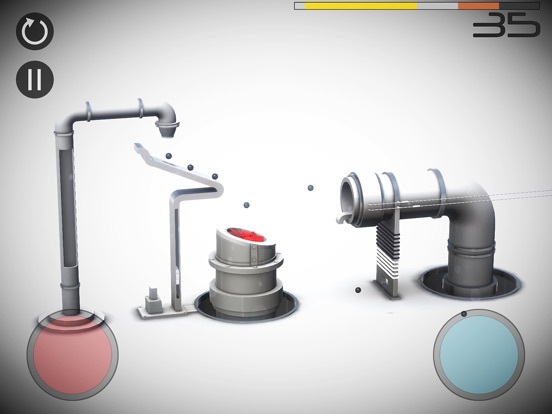 Exercise your brain and test your coordination in this fun packed, skill-based 3D puzzler. Your challenge is a simple one; guide the tiny balls from one side of the level to their goal on the other. Activate flippers, magnets, portals, fans, anti-gravity hoops and many more gizmos to complete each brain teasing stage. Don't take too long though.... You're on the clock! 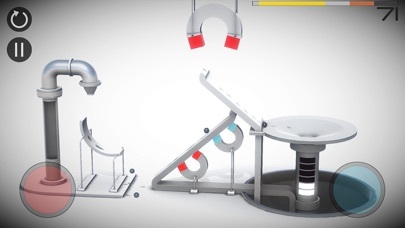 Inspired by Rube Goldberg and his fantastic machines we've filled our game with beautiful and challenging physics based levels for you to enjoy. 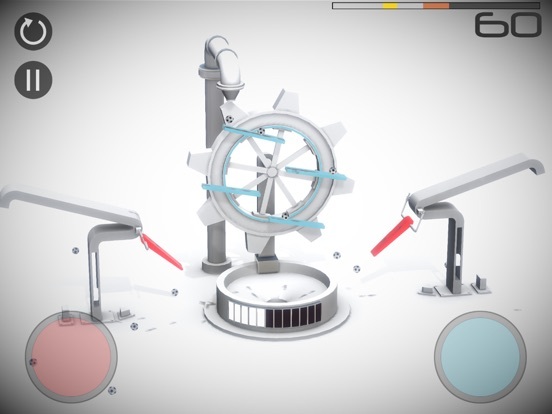 Our unique and easy to use control system puts the power is in your hands to beat the puzzles and test your skills. So put your skills to the test, engage your brain and get those balls to their goal! Balls, balls, balls! Finish the levels as quickly as you can to add to your medal haul! Completing a level is one thing but can you get gold? Only the most skillful will be able to compete for gold medals and have a chance of unlocking the near impossible gold runs! 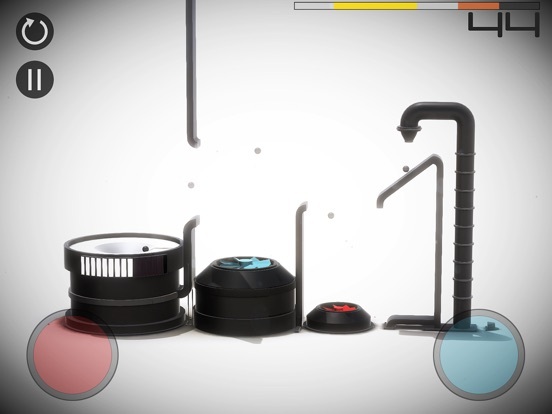 "Perchang: Black": 24 new gravity defying levels to challenge you. The beautiful new levels of Perchang Black demand just as brain power and even more skill! Gravity varies from level to level. Balls fly higher and faster as everything you thought you'd learnt is turned on its head. Perchang Black is available as a separate purchase. So, if you're looking for a 3D puzzler that will test your brain and quick reactions then look no further than Perchang! Our fun, brain teasing, arcade puzzle game has been played and loved by over 5 million people all over the world. ======= "I am loving every second of it" 5 Stars - App Advice "Perchang is like Marble Madness meets Lemmings" - Touch Arcade "a beautiful and incredibly well designed puzzle game" - 148Apps ======= FEATURES: - 60 Stunningly rendered 3D courses to test your skills. - Simple controls with deep mechanics so anyone can pick up and play. 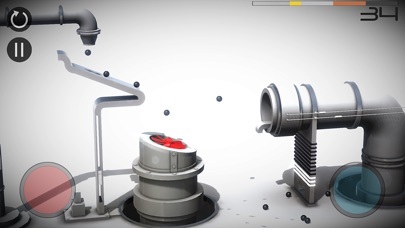 - From flippers to teleporters, there are loads of unique gizmos to guide the balls through levels. 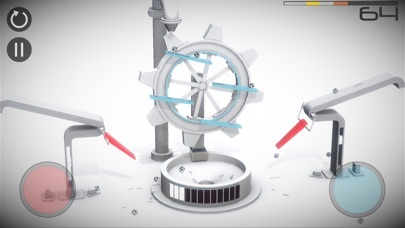 - Tax your brain and solve puzzles by switching the colours of mechanisms. - Hit your goals quickly to collect all the gold medals. - Use all your skill and wits to earn achievements. - Unlock the special Gold Runs for the hardest challenges! Love how unique this game is. First you need to figure out how to solve the level and then you need the skill to do it. There are 60 levels and all of them are different, never feels like your playing the same level twice. Great Touchy well said, it's great fun this game and it has 600 Achievement points so get em people. Nothing like this on the App Store. Just outstanding from a visual standpoint, level design and overall package. Gorgeous, gorgeous, gorgeous. I can't find enough positive words to describe Perchang, but the last few posters summed it up! I've been waiting for this since I read the post here on TA. Buying it now no questions asked. I have no questions asked. Bought. Well, I'm loving this!! Starts off pretty easy to work you in, but, later becomes deliciously difficult having you use both buttons together and alternating, and reverse colors, and more! Great fun! Only problem to me is it probably won't be too long before I need some more levels! Hope the dev is working on that for the updates! Looking forward to that! Great game! A rather lovely game with a clever swapping mechanic. Puzzle pleasure all the way. I agree with all the above. Very polished and it's clearly a physics thinker. That's a nice change of pace for me. I'm not sure if it's been mentioned somewhere, but I'd love to see the addition of GC leaderboards. One other side note, my iPhone 6 gets pretty steamy while playing, haven't tried flipping on the "low power mode" in the options yet. This may remedy that small situation. Creative Director at Perchang and Rodeo Games. Rich, you should absolutely try the low power mode. It drops the framerate from 60 to 30 and gets rid of some of the full screen effects, which stops your device from heating up. Out of interest, do people prefer facebook or gamecenter leaderboards? Gamecenter leaderboards all the way. I saw that you changed Gold Run 3 from 3 to 2 balls, thanks for that got the gold medal now on it. I played more than 20 hours on this game and it still is fun, all people here seem to like it very much that's great to see. gamecenter! Well done for you amazing game!!!! By far my favourite Puzzle game right now! From the start to the end! Bloody Brilliant! Very nice game, great job! Enjoy my two dollars, devs!